Music producer/killer Phil Spector was photographed by the California Department of Corrections and Rehabilitation in June 2009. 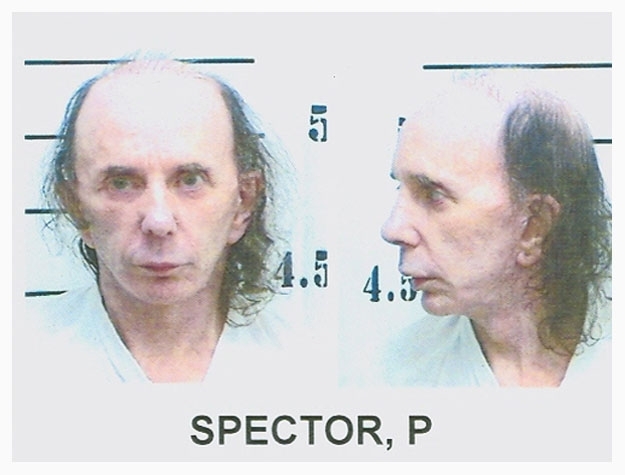 Unlike his prior booking photo sessions, Spector was not allowed to wear a wig, per state prison regulations. Spector was sentenced to 19 years in prison following his conviction for murdering actress Lana Clarkson, who he shot to death in his Los Angeles home in February 2003. Submitted by rcmayo on Fri, 2011-06-03 09:26. No more wall of sound. But my forehead is available for ad rental. Submitted by AFVetgrrl84 on Sat, 2011-05-21 21:37. Submitted by Watsons Pills on Mon, 2011-04-04 23:21. Submitted by jaime on Sat, 2010-08-28 23:28.